A new family has moved into Boston! 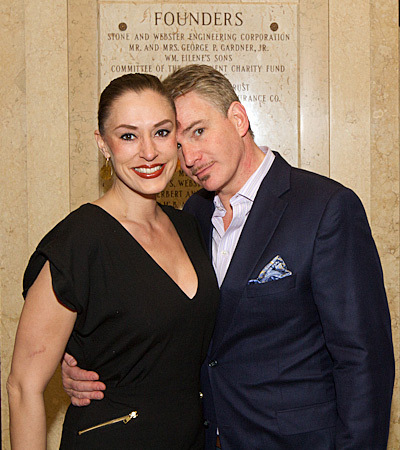 The national tour of The Addams Family had a spooktacular opening February 8 at the Citi Performing Arts Center’s Shubert Theatre, and the clan was in a celebratory mood after the show. Even the production's patriarch—no, not Gomez—director Jerry Zaks headed north for the the festivities. 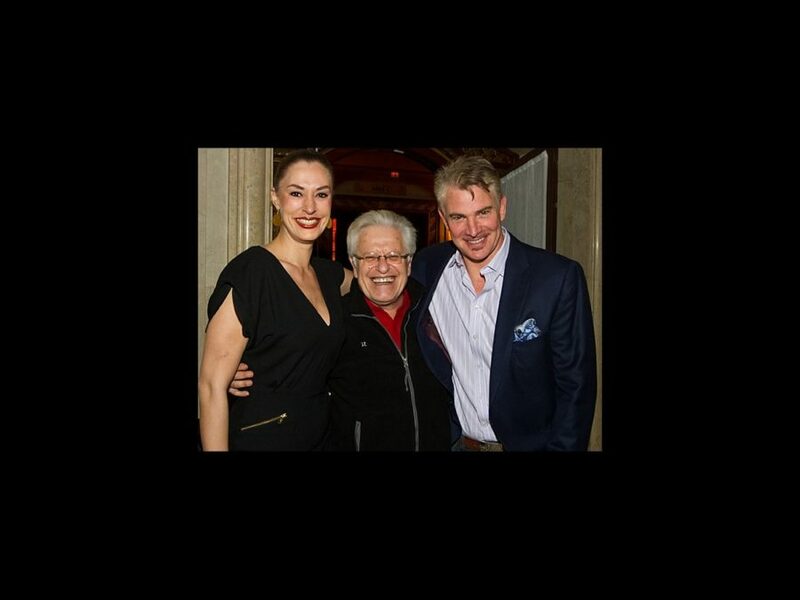 In this hot shot from the premiere (taken by Travis Farrenkopf), the famed Broadway director pulls stars Sara Gettelfinger (Morticia) and Douglas Sills (Gomez) close for a family shot. The musical also stars Cortney Wolfson as Wednesday, Patrick D. Kennedy as Pugsley, Blake Hammond as Uncle Fester and Pippa Pearthree as Grandma. Get your tickets to see The Addams Family, which runs through February 19, and enjoy the bonus shot below of Gettelfinger and Sills showing off their chemistry at the opening-night celebration.